Get connected, get clicking, and get what you need from the Internet, whether that's answers from Google, bargains from E-bay, music from iTunes, or merchandise from the thousands of shopping sites. 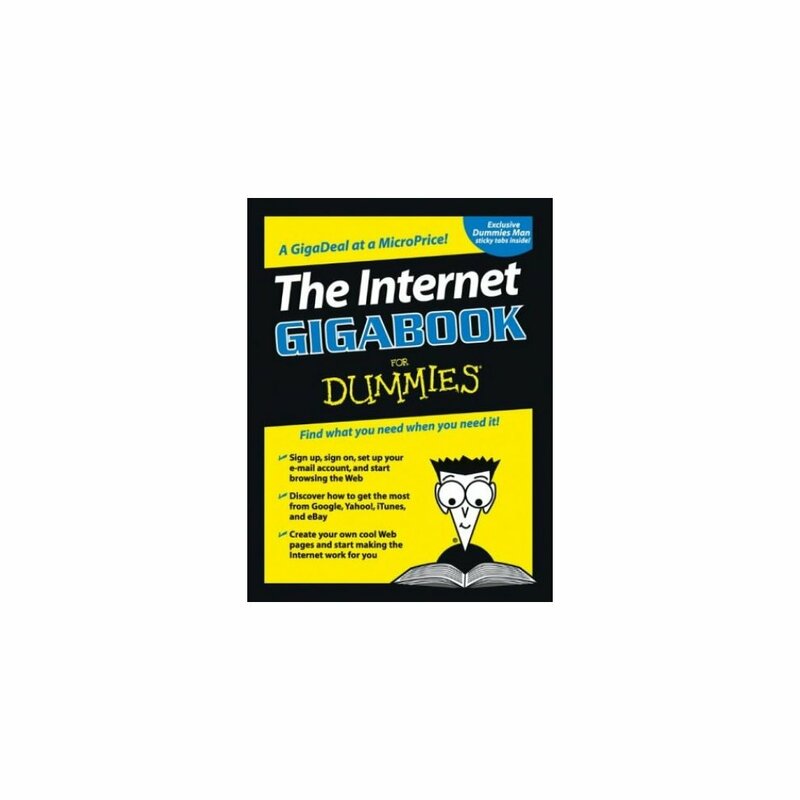 "The Internet Gigabook For Dummies" has almost 900 pages jam-packed with information, how-tos, tips, techniques, advice, and short-cuts to help you use the Internet for all it's worth!Whether you're an experienced Web surfer or just daring to get your feet wet for the first time, you'll discover how to get the most from the Internet and its most popular sites with information on: the basics - everything from installation to browsing, navigation, and setting up your e-mail account; Googling - searching for information, photographs, newsgroups, bargains, and more; Yahooing- searching, mail, shopping, chatting, playing games, doing financial research, and more; buying and selling on eBay - finding collectables, hard-to-find items, and bargains; bidding, buying, and paying online; and selling your own trash and treasures; making beautiful music together with iTunes - buying and playing music, burning CDs, organizing your music collection with playlists, and even editing on your iPod; and, creating your own Web Pages - building your first site, including the essentials and working with HTML, FrontPage, Dreamweaver, posting your Web site, and more. 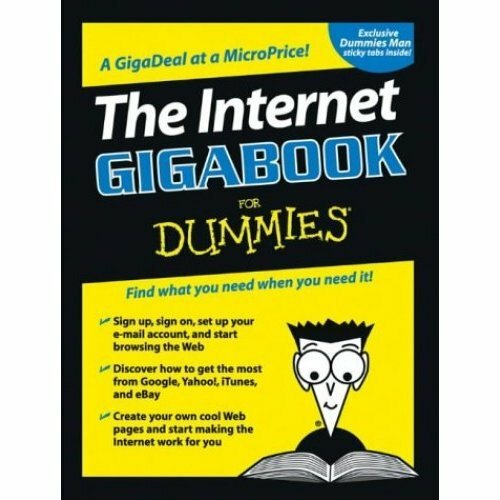 Edited by Peter Weverka, author of many "For Dummies" books, "The Internet Gigabook For Dummies" includes information culled from eight "For Dummies" books. It's like a greatest-hits collection! Even experienced surfers will discover some new tricks such as how to: use Yahoo! Finance to get stock quotes, do financial research, and create an online portfolio; use Instant Messaging with AOL, MSN Messenger, or Yahoo! Messenger; shop Google Catalogs or use Froogle for online comparison shopping; use advanced techniques and bidding strategies to help you win in eBay auctions; use Yahoo! People Search to find old friends; search Yahoo! Personals to find true romance (or someone semi-compatible), place your own personal ad, and more; use Google News to scan the headlines, search for specific topics, follow related links to go in-depth, or track a story over time.Whether you're new to the Internet and want to learn how to set up your e-mail or have a great e-tail idea and want to set up an online business, this Gigabook, complete with an in-depth index, helps you get GigaValue from your online experience.